Bluetooth Tethering means sharing the internet of one android phone with other via Bluetooth. Bluetooth tethering is similar to Wi-Fi hotspot, but as compared to Wi-Fi hotspot Bluetooth tethering is much secure because we can hide our phones Bluetooth and restrict it to only paired devices. Bluetooth tethering is fast and does not overheat the phone, but battery power may be an issue but as compared to Wi-Fi hotspot battery backups are longer in Bluetooth tethering. 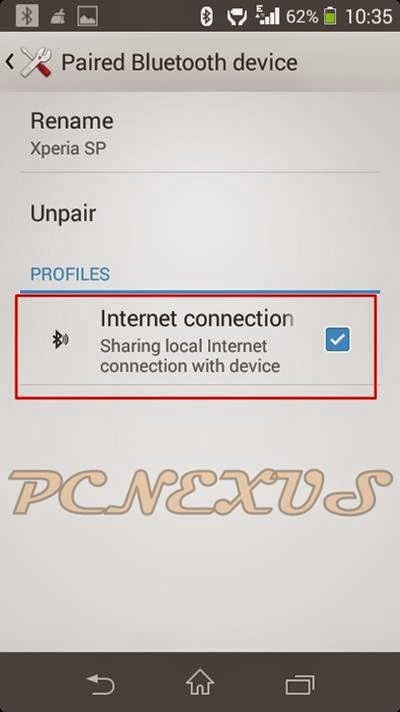 For sharing internet connection via Bluetooth you will need two android smartphones running on android 4.1 and above. Go to ‘Settings>More>Tethering & portable hotspot’. 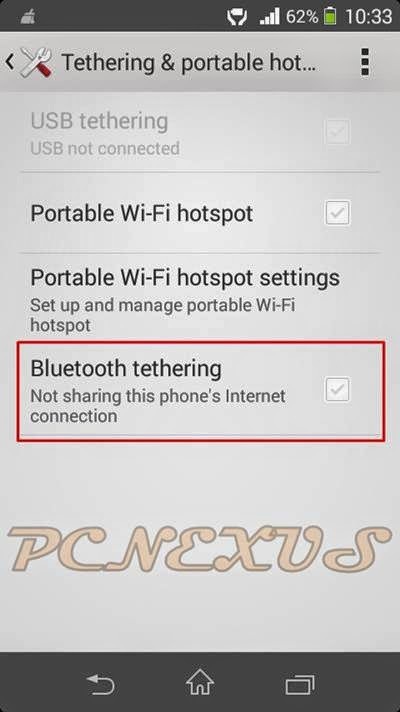 Enable ‘Bluetooth tethering’. Now go to Bluetooth option and enable it. Now other phone that want to share your phone’s internet connection will be visible here. Tap on the phone’s name. It will connect and pair. If it asks for code then confirm and pair. Then again tap the connected phone and enable ‘Internet Connection’. When connection is successful a big Bluetooth icon will appear in status bar. 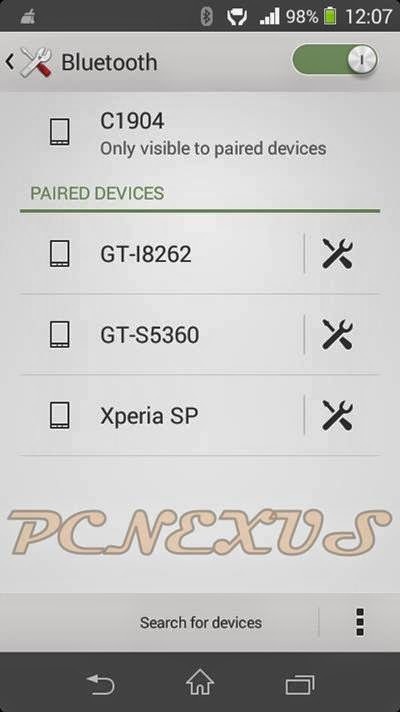 In Samsung phones it is blue in color while in Xperia it is white see the image above. Now easily access internet on the other phone. Now you can easily share internet via Bluetooth on android.